Alumni from our Marketing Program lead the way in business, throughout Indiana, nationally and internationally. Christi Hill is senior director of Global Customer Engagement for Eli Lilly and Company in Indianapolis. Prior to this, she was Senior Director of Marketing and also Neuroscience Director of Sales for Lilly. She is a member of the Scott College of Business' Dean's Executive Council and the ISU Alumni Association Board of Directors and is very involved in the life of the university as well as her local community. Beeler has been widely recognized in the business community. Until his recent retirement, he built a 24 year career with Berry Plastics; an Evansville-based plastic packaging company. During his tenure at Berry, he successfully assisted with the organic and acquisition growth as Chief Operating Officer. He was responsible for the sales and profits of Berry's $ 4.1 billion business. 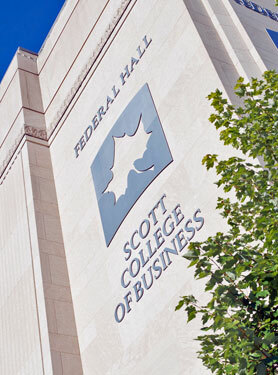 Beeler is a member of the Scott College of Business' Dean's Executive Council as well as the ISU Foundation Board and the ISU Alumni Association, as well as Lambda Chi Alpha social fraternity. He graduated with degrees in marketing and management from Indiana State. An Indiana State University alumnus with more than 35 years experience in the banking industry, O'Neill retired as an executive of First Indiana Bank of Indianapolis. He served as senior vice president and president of the bank's national mortgage operation before retiring in 2005. He served as interim president of the ISU Foundation in 2006 (he had served on the ISU Foundation Board since 1996) and was honored with the 2007 ISU Distinguished Alumni Award. He was a member of ISU's Board of Trustees from 1987 to 1995 and was a member of the ISU Alumni Association Board from 1979 to 1985. 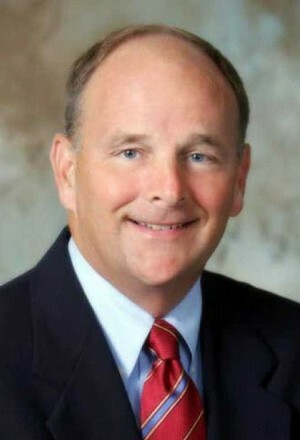 Lingenfelter is senior consultant and vice president of Wilson Partners LLC in Troy, Mich. 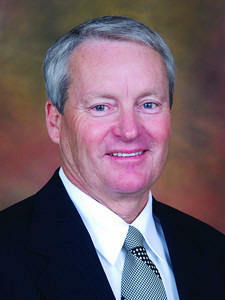 He also is a member of the Scott College of Business' Insurance Advisory Council in the College of Business. "I came to ISU as a shy and unproven student, but left with the confidence and knowledge that my success was all before me with a bright future. That future continues to be realized," he said. Lingenfelter began his career in employee benefits at Metropolitan Life Insurance Company (MetLife) and later formed Wilson Partners with top leadership at FlexBen Corporation.